Brendan Gallagher is not someone who likes to talk about personal success. But when pressed on what his biggest highlight was from the 2013-14 NHL season, the young Montreal star offered up a particular night in Beantown. He could have picked his first NHL goal, one that came against a future Hall of Fame goaltender in Martin Broduer. He might have opted for the 15 total goals he registered in 44 games. He also could have selected being named a finalist for rookie of the year honours. But it was a game in Boston, against the Canadiens’ fierce Original Six rivals, that one of hockey’s brightest young talents settled on. Montreal was down 5-3 at one point, but a tally by Gallagher, followed by Andrei Markov’s marker with 8.2 seconds left, knotted the contest. After a scoreless overtime period, the stage was set for a shootout. Cue Gallagher’s moment to shine. All six Boston players were stopped. The first five Canadiens to shoot couldn’t find the net. It was Gallagher who ended it, putting one five-hole to earn the Habs two points. Was he calm, cool and collected when he was called upon in the shootout? His teammates weren’t the only ones who gave him a raucous ovation after the red light came on. Gallagher, who enjoyed a stellar junior career with the Vancouver Giants, sees nothing but good things in store for Montreal in 2013-14. The additions of George Parros, Douglas Murray and Daniel Briere have the 147th overall pick in the 2010 Entry Draft beaming. Gallagher has already bonded with fellow forward Briere. The less he has to worry about off the ice, the better, insists Gallagher. And hopefully, to many more memorable games like the one he had in Boston. 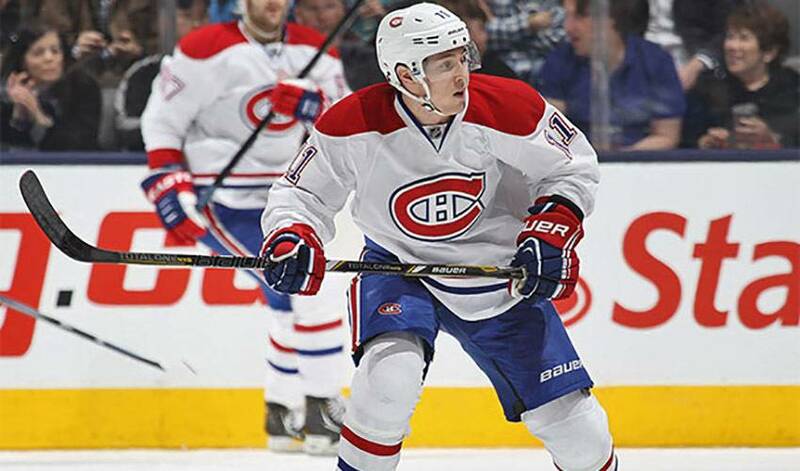 Which former NHL star – a Ted Lindsay Award recipient – tops Brendan Gallagher’s list of sports idols? Even in between tee shots and putts with his buddies, Brendan Gallagher was only too happy to take a break and talk about the impact charity work has had on his life. Brendan Gallagher, happy to get into the swing of things well before the NHL season gets started, has found the perfect balance for the NHL off-season: training, tee shots, tracking fly balls and time with family.